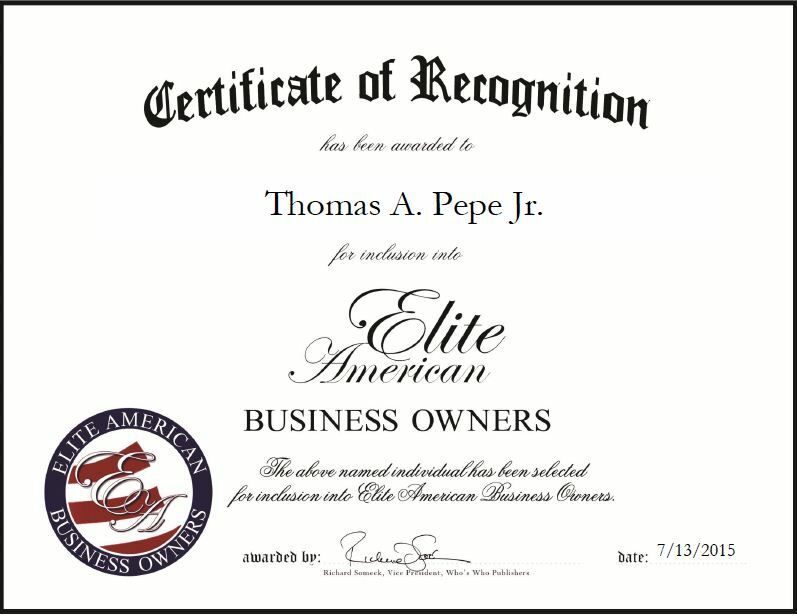 Company: Manlyn Development Group, Inc.
Brooklyn, N.Y., July 13, 2015, Thomas A. Pepe Jr., Owner, President of Manlyn Development Group, Inc., has been recognized by Elite American Business Owners for dedication, achievement and leadership in construction. After staring his career as an architect, Mr. Pepe ventured into the world of construction. He continues to use the skills and knowledge he learned while working as an architect as his company, Manlyn Development Group, Inc., focuses on architecture and construction. The company offers services in building, new construction and renovations. It takes on a wide range of projects, including shopping centers, retail stores, medical facilities, and malls. An expert in project management, Mr. Pepe is responsible for overseeing construction and renovation of projects, designing interiors for medical offices, assisting fast food retailers to develop their business, and coordinating with construction managers, design builders and general contractors. Mr. Pepe, who has 26 years of experience, has been successfully operating his business for 13 years. He attributes his success to his hard work, simplicity and ability to stay current with the latest technology. Looking toward the future, Mr. Pepe hopes to grow the company in the next few years to have more employees and more jobs running at the same time. Contact Thomas A. Pepe Jr. This entry was posted in Construction and tagged architect, architecture, designing interiors, malls, medical facilities, project management, renovation, shopping centers. Bookmark the permalink.